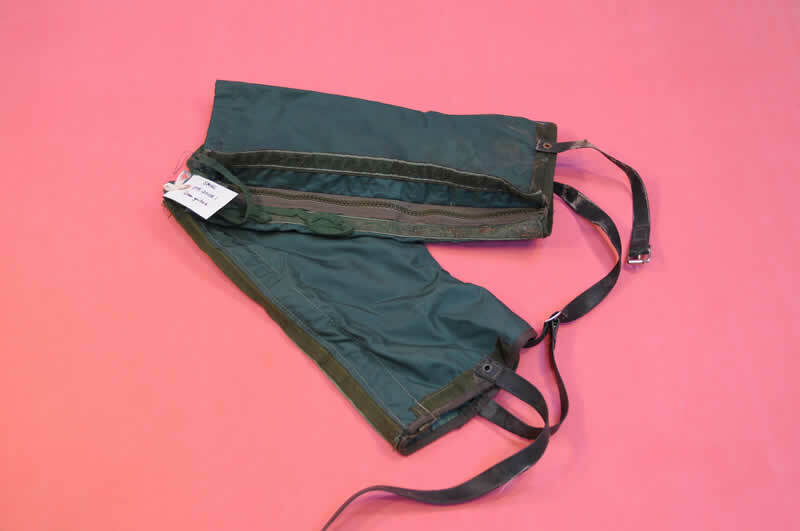 One pair of green gaiters. Zip and velcro down the side. Drawstring with green lace at top and plastic straps with metal buckle at bottom. Labels at top of insides read "GAITERS, SNOW MK. Ll 8415-99-977-9502 JAMES SMITH & CO (DERBY) LTD. CT4B/1172 NAME: NO: " and washing instructions. "MIRTLE" handwritten in pen on one label.